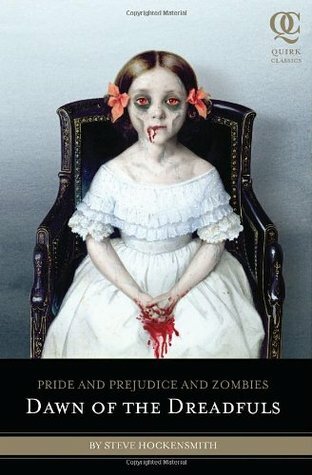 As I’ve mentioned before in my review of Pride and Prejudice and Zombies, I understand the concept of combining this classic piece of romantic literature with its complete obverse; it just felt like it was almost held back from its full potential by adhering to (most of) the original manuscript. With the prequel to this book, Dawn of the Dreadfuls manages to examine the ridiculous nature of this mashup in a way that’s so tongue-in-cheek that the tongue has practically ruptured the cheek entirely. That is, this prequel doesn’t take itself nearly as seriously as the original Jane Austen adaptation did.